What would you choose to have in your garage? 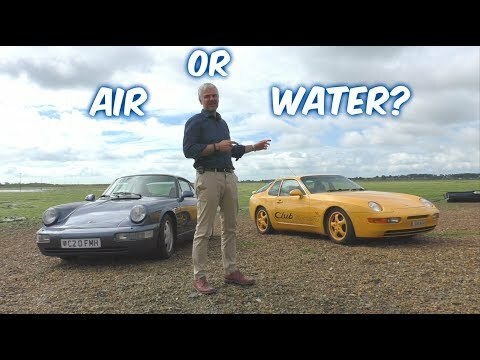 A classic air-cooled Porsche 911 or a front-engined 968? Now before you say the answer is obviously the 911, this isn’t just any Porsche 968. It is a track focussed 968 Club Sport. The Porsche 968 Club Sport (CS) takes the near perfect handling car and puts it on a diet. The result is a car that was built for spirited driving. Comparing the 968 CS to a 964 generation 911 makes for a difficult choice. The 911 is the model you think of when you think Porsche. Sure Porsche has made some incredible vehicles that aren’t 911s, but with it being around for over 50 years it is undoubtedly the crown jewel of the lineup. The decision is tough and the only way to fairly compare them is to drive them back to back. This video shows the two analog performance machines taking on back roads. Check out the video and then scroll down to the comments and let us know which you would choose.